OLD PARKED CARS. 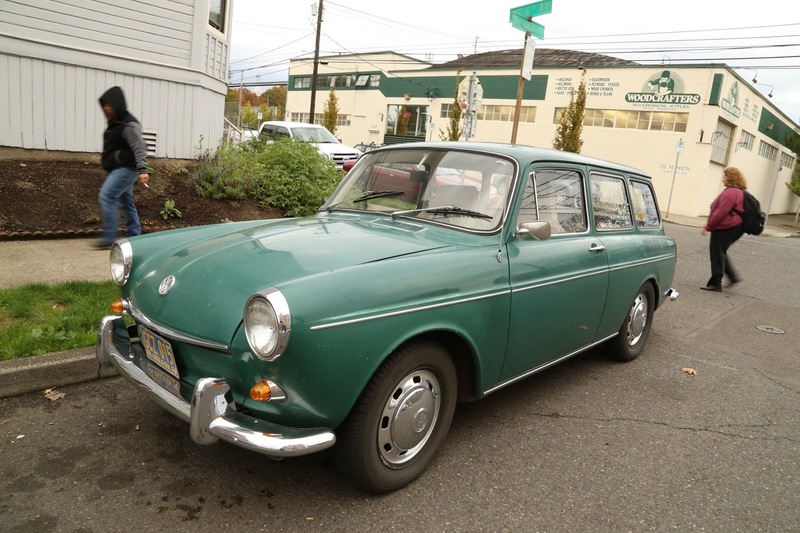 : 1968 Volksagen Squareback. Nice, I like the third picture it looks so West Coast. Don't ask me why but it looks like something out of the city of San Francisco. I remember seeing a lot of these in the color yellow. 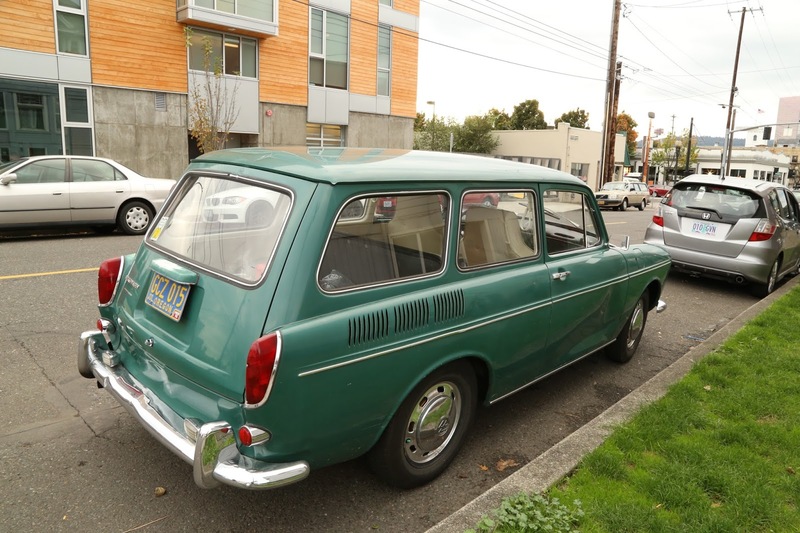 I kind of consider these cars the mini station wagon from Volkswagen & yes in my area NY-NJ these cars are never to bee seen anymore. This car is killin' it! I love the color. Great model year, as well. 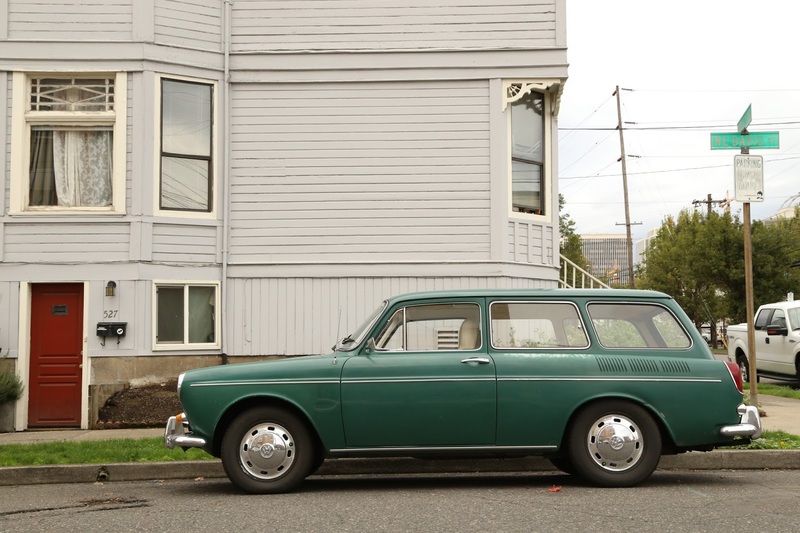 After '69, type 3's got a longer nose, bigger tail lights and obnoxiously large wrap-around front signals. IMO, all this car needs is some gravel guards to go along with the beauty rings. My brother had a '69 in beige. It was great car, he probably would have kept it forever except for that accident on an icy hill. Yeah they were tail heavy for sure. BTW: missing 'w' in tag 'Volkswagen'. Oh forgot to complement the arrangement of the red door in front of the car in the last picture. Nice! This car made my day, thanks for posting it. There was a fella next door who used one of these as a surf wagon back in the late 70's early 80's, it was all rusted-primered with surf stickers etc and a roof rack for the boards. I can still imagine it sittng there when I drive down the old street. At the rear of the rocker panel area, just before the rear wheels, there are small circular cutout pieces on each side...these would drop off on east coast cars once the rust process started. Anyone know what purpose these served when new? My dad had one, forget what year, used it on paper route until it caught engine fire !